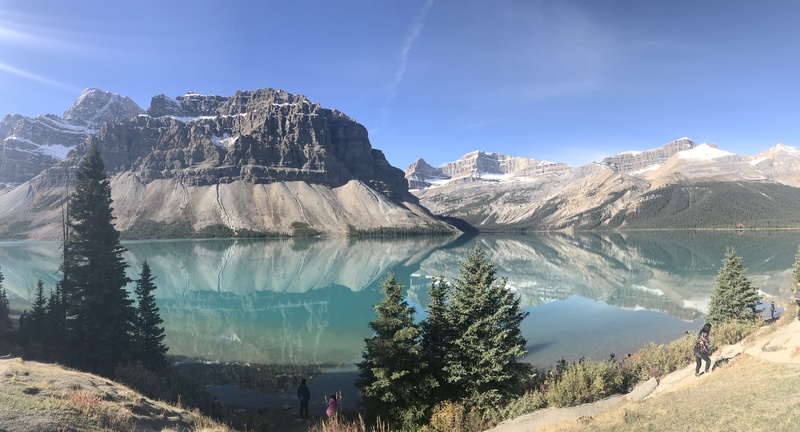 We started our four month trip around the word in Alberta, Canada, and honestly, a day in, I thought we screwed up. It was too beautiful, too perfect – we’d peaked way too early! I couldn’t imagine how anywhere else could measure up to such a truly spectacular part of the world. 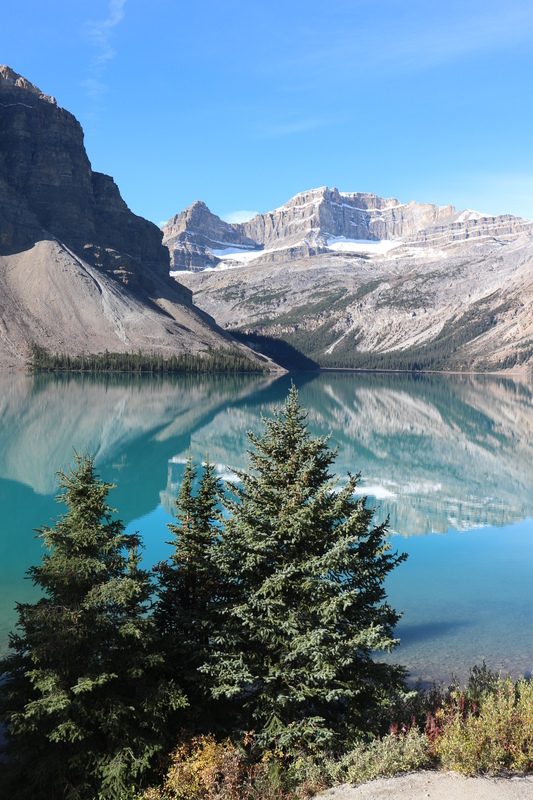 It had all of my favourite things – big, fluffy fir and pine trees, actual snow-capped mountains, endless stretches of road, and big, blue lakes. I don’t think “blue” really captures the colour of them, actually. But I can’t think of any other words that can. The water was the blue of the sky on a cloudless summer day, of bubblegum ice cream – this insanely, richly, perfect blue that you have to see to believe. 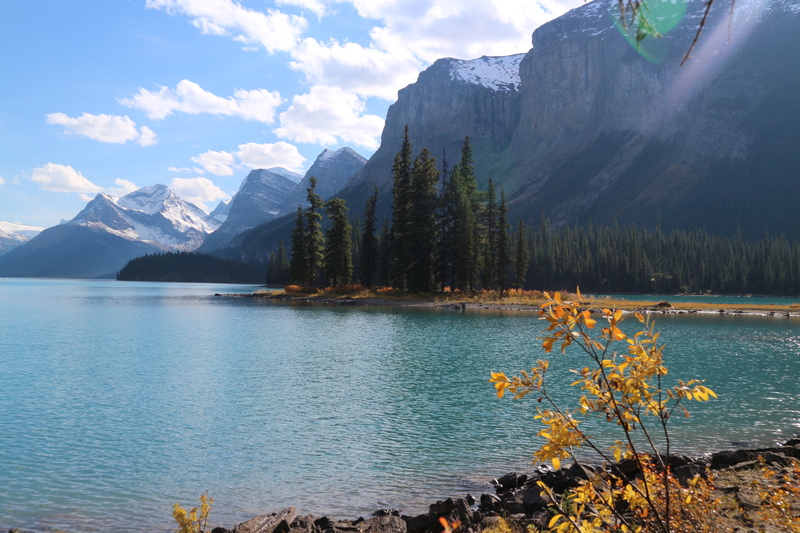 And there are plenty of lakes around Alberta where you can enjoy this eye candy, but today I’m going to take you to four of the most perfect ones. Something to note just before we get started though is that we’re talking about National Park areas here, so make sure you get your permit to drive through them first! 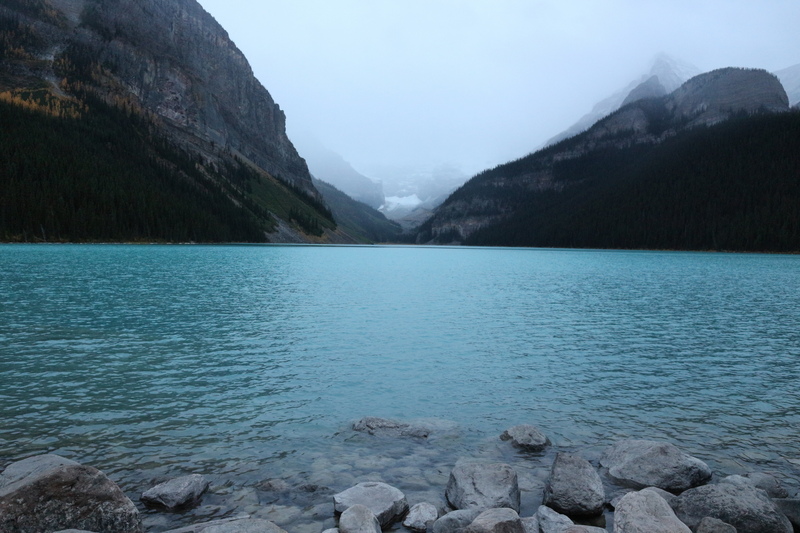 This was the first lake we came across, completely by accident. We were following the map from Calgary to Jasper on day one of our 120 adventure, and noticed a big body of water coming up on the map. This was it: Talbot Lake. Surrounded by tall trees that looked tiny against the behemoth mountains behind them. 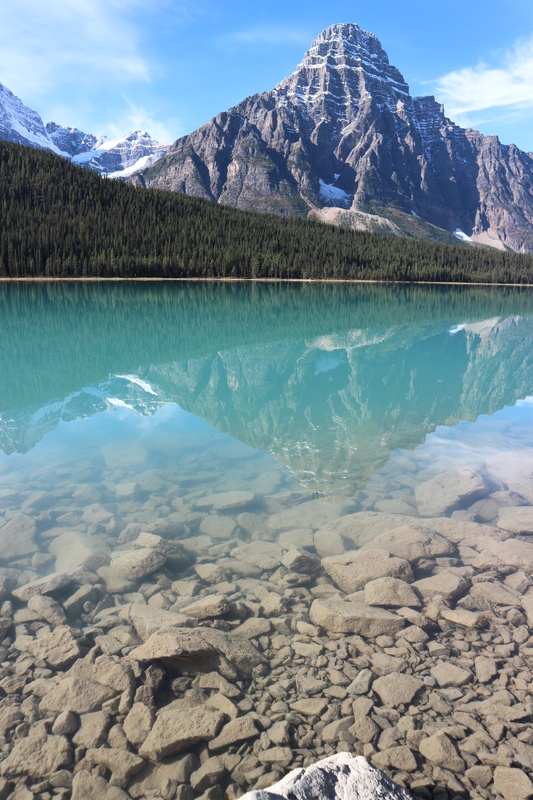 The water was glass clear, to the point that you could easily see your reflection and count the stones beneath it at the same time. Visitor tips: This isn’t one of the big “draw card” lakes like Louise, so just pull your car over alongside the lake, and walk on down to the shore. There’s plenty of space to walk around or just sit by the water and relax for a while. 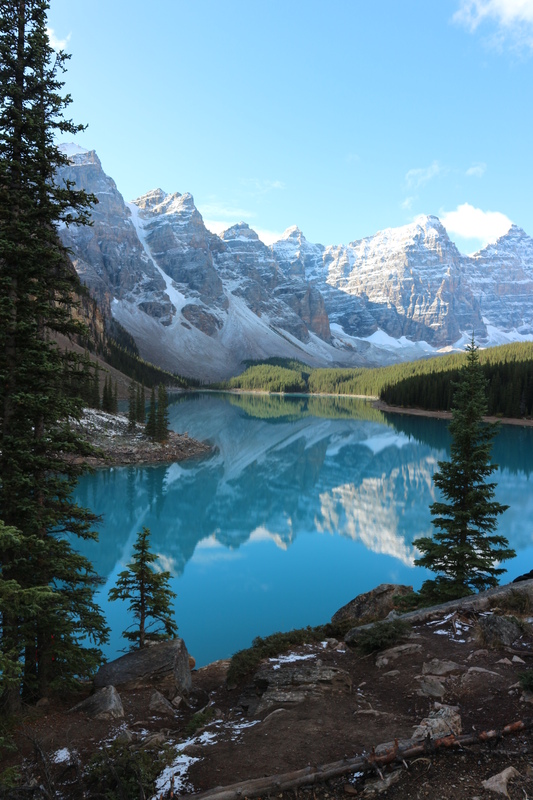 While it’s much smaller and not as publicised as the far more well known Lake Louise nearby, Moraine Lake was easily my favourite of the lot. 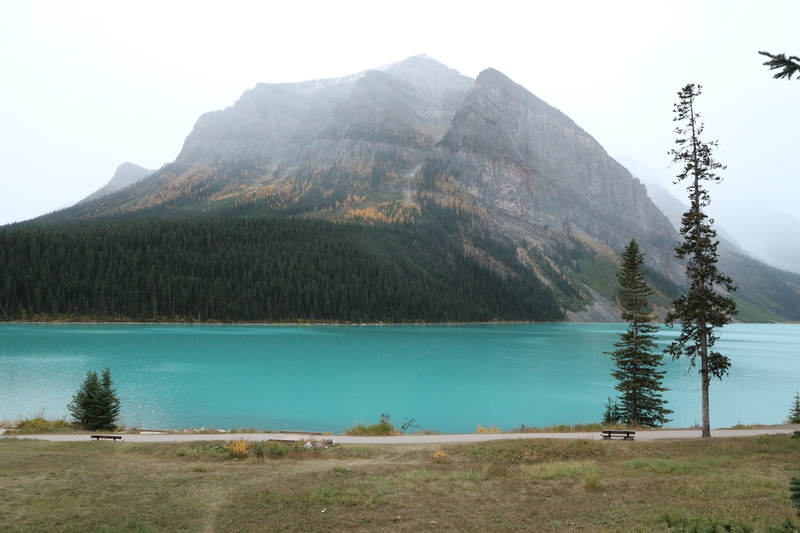 This turquoise beauty is fed by a nearby glacier, and is tucked down in the Valley of the Ten Peaks (you can see six of them in the photo above). It is literally impossible to take a bad photo around the lake. Trust me, I tried. Once you’re done with the camera, there are quite a few hikes and walks you can take, from beginner to advanced levels, and in the nicer weather you can hire canoes and take to the water for a while. 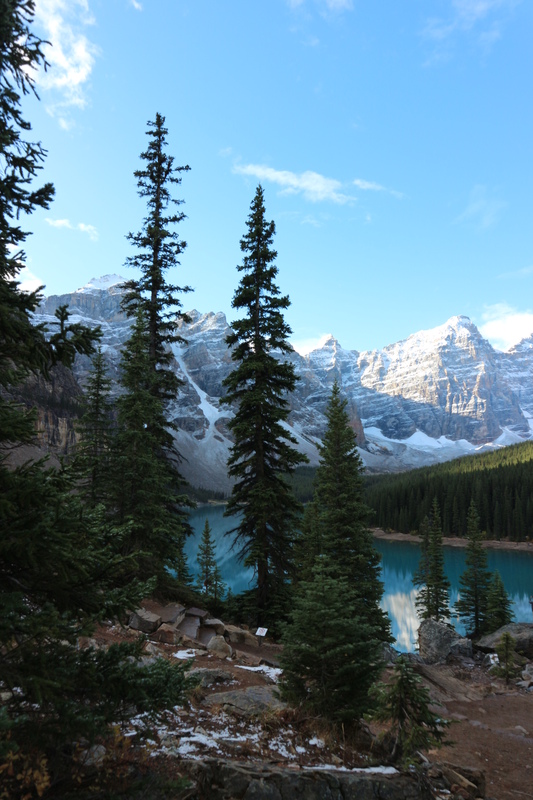 And if you really want to treat yourself, I would highly recommend a night or two at the Moraine Lake Lodge – absolute heaven! 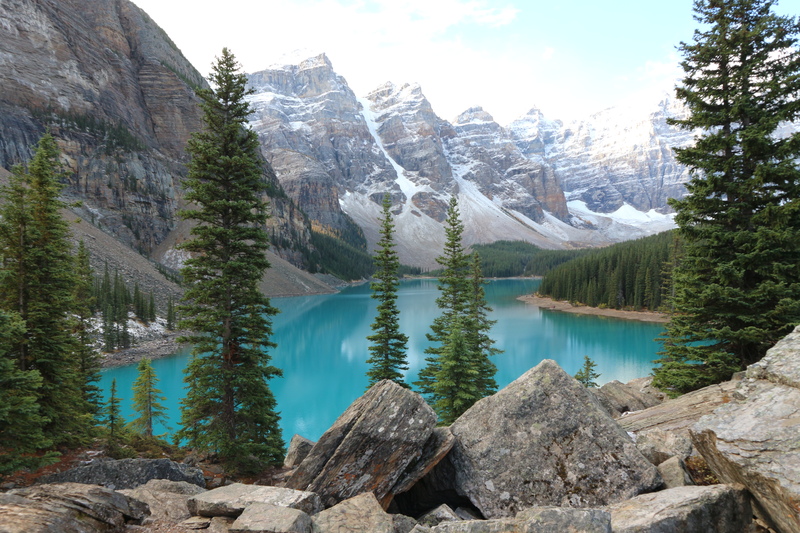 Visitor tips: Parking is very limited around Moraine Lake, so aim to get there before 8am. If you don’t manage to snag a car park, there are shuttles that run back and forth from a car park a bit further out, but they are seasonal, so if you’re not visiting in summer, you might be out of luck. You can find more up to date info here regarding seasonal closures. Food options are also slim pickings and quite pricey, so I’d recommend bringing your own lunch and snacks – just make sure you dispose of everything responsibly, because bears. And wear comfy shoes, because you’re going to want to walk around and see the places from a few view points! This was a bit of an accidental discovery for us. 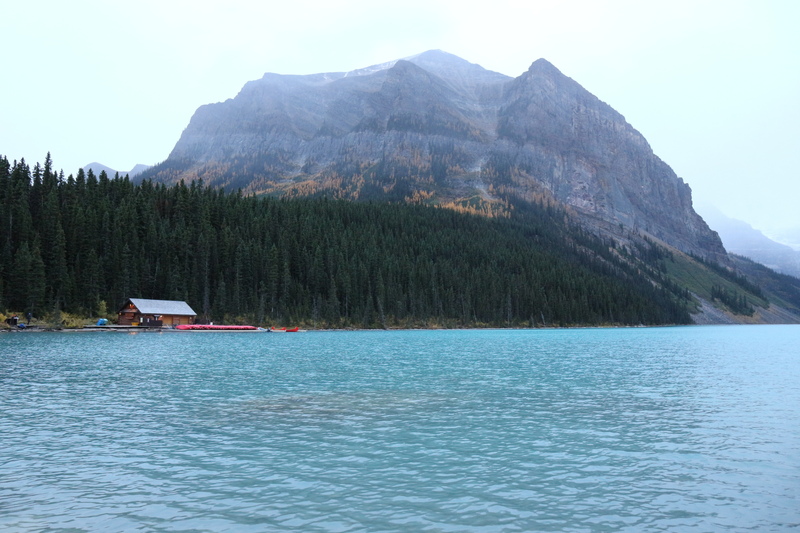 I knew I wanted to see Spirit Island, but I ignorantly didn’t know/check how to get there before we left. 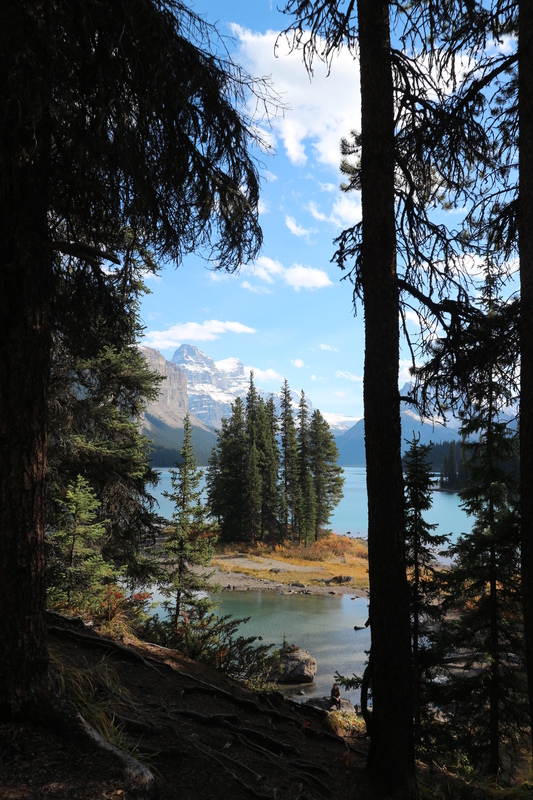 We drove to the general area our map told us Spirit Island was located, and found ourselves approaching signage that indicated we were at Maligne Lake. Shimmering blue under the giant Canadian Rockies, this is another lake fed by glacier flow, with a ton of great viewing points. Turns out there’s a lot more than Spirit Island there! We went out on a hike that was about an hour in each direction (there are longer and shorter ones, too), sat by the shore and relaxed with a giant chocolate chip cookie, trawled the gift shop, and took a boat tour out to Spirit Island (which is every bit as magical and beautiful as it looks in photos). Something to note is that you can’t actually go out onto the island, but chances are you want to take photos of it anyway, so being on it wouldn’t help! Visitor tips: We arrived around midday and didn’t have any problems finding car parking, but you probably would in peak (summer) season, so as always, aim to arrive in the morning. There is a well-provisioned café on site and food was reasonably priced, but it’s not a bad idea to BYO picnic lunch, either. If you want to see Spirit Island, you’re going to be taking a cruise – you can buy tickets there, but they sell out early and you may not have many options for the time of the cruise on the day. A safer bet is to book online in advance. 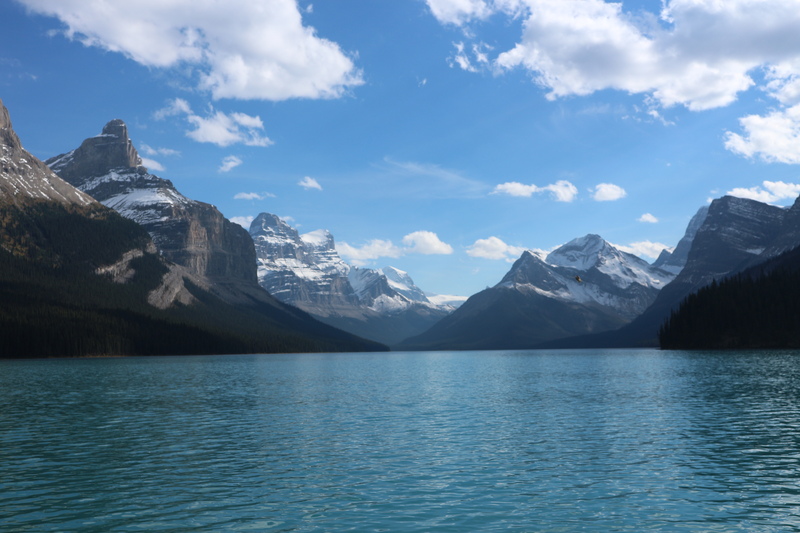 You’ll enjoy some phenomenal views on the lake, and get a good 15 – 30 minutes (depending on your tour option) at Spirit Island to take your photos and enjoy the peace & quiet. This is the one everyone’s heard of, and she is just as beautiful as everyone says. We decided to forgo a sleep in and made our way out early, arriving around 7.30am – there were only a handful of other cars when we arrived, but it got busy pretty fast! You have to take the photos, but once you’ve snapped a few, put the camera away, and start walking. It’s a big lake, and the walk along it is really something to see with your own eyes. When you’re ready for a break from walking, you can take the gondola and see it all from above, and even if you can’t afford to stay at the Fairmont on the lake, you can still take a seat at the café and enjoy your tea with a view. Visitor tips: Arrive early – 8am at the latest. Like Moraine Lake, if you miss a car park, there are seasonal shuttle options. The Fairmont’s café options were actually really good, both quality and pricewise, so don’t think you need to lug food around here. Comfy shoes again are a must, because there’s a bit of walking to do in the area. I’d also recommend pre-booking the gondola if you want to ride at a certain time, especially in peak times, as the lines are long and there are no guarantees!